During a radio interview with Jim Wallis, the DJ happened to say, “So, you’re one of those Red-Letter Christians–you know–who’s really into those verses in the New Testament that are in red letters!” Jim answered, “That’s right!” And with that answer, he spoke for all of us. … In adopting this name, we are saying that we are committed to living out the things that He said. Of course, the message in those red-lettered verses is radical, to say the least. If you don’t believe me, read Jesus’ Sermon on the Mount (Matthew 5-7). The purpose of this gathering was not to create a religious left movement to challenge the religious right, but to jump-start a religious movement that will transcend partisan politics. Believing that Jesus is neither a Republican nor a Democrat, we want to unite Christians who are concerned about what is happening in America. He then lists the social issues that are of concern—inequality, the environment, education, overseas development aid, and discrimination. I don’t think I would disagree with any of these issues, as you could see from wandering around this blog. It is worth noting, however, that Campolo’s proposal of transcending the right/left divide looks somewhat disingenuous here, as these are all ‘left’-type issues. Where is the mention of parenting and the scandal of a fatherless generation? Where the need for a sense of personal moral responsibility? These classically ‘right’ issues also have a good claim to be rooted in Christian values. More importantly, I think focussing on the ‘red letter’ words of Jesus is the wrong way to address these problems. In fact, this approach offers considerable problems of its own. The first danger is that it detaches Jesus from his Jewish context by failing to read his words in the context of the Hebrew Bible (Old Testament) that Jesus himself read. One of the refrains on the website is ‘If Jesus didn’t talk about it, why is it so important?’ But, as Wes Hill points out, this has never been the main way Christians engage with ethics, and it is potentially highly misleading. Contrary to the “red-letter Christians” experiment, it is simply not a classic Christian practice—among Catholics, Orthodox, or Protestants—to pit the words (or silence) of Jesus over against other portions of Scripture. And if we do, this very quickly leads to a neo-Marcionite position, where we contrast the (rather nasty and obsessive) god of the Old Testament with the radical and inspiring message of Jesus. Apart from anything else, this is incoherent and unnecessary. If you want to look for resources for a radical alternative to consumerism, you can do no better than turn to Lev 25 and read the teaching on the Jubilee—as many other Christians have in fact done. Here we find a radically communitarian vision of life under the reign of God where we do not own our possessions but are merely stewards of them. And in the gospels, Jesus is mostly presented as a fulfilment of such a vision, not a contradiction to it. 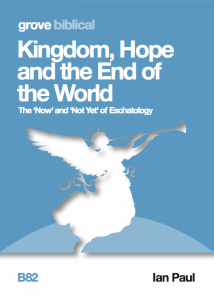 The second danger is that this approach dehistoricises Jesus. In removing him from his Jewish theological context, we also remove him from his historical context and treat what he says as though they were timeless statements of truth which need no interpretation. Ironically, this has a similar effect to the one imposed by the Jesus Seminar, a group of historically sceptical scholars who believe we need to recover the historically authentic words of Jesus from the layers of later theological additions. To do this, one criterion apply is the ‘criterion of dissimilarity‘; we can be confident that something is from Jesus if it is untypical of both his Jewish context and the later teaching of the church. But this is not a way to find the authentic Jesus; it is a way to find the eccentric Jesus. And by focussing on his radical sayings, the RLC movement does the same. “The only time Jesus drew a line, it was religious people who were on the other side.” Well, since pretty much everyone in the Mediterranean world in the first century was religious, including a certain circumcised, Torah-observant, festival-keeping Jewish Messiah, that’s not a particularly striking claim. Everyone in that scene (John 8:1-11) was religious. So what? The unfolding of the New Testament canon presents itself as the continuation of Jesus’ speech, so much so that Paul’s words in Romans 1 and 1 Corinthians 6 and elsewhere about sexual behavior are to be read as having the authority of the same Jesus who allegedly said nothing about homosexuality during his earthly life. Notice how Paul describes his identity: “Paul, an apostle—not from men nor through man, but through Jesus Christ and God the Father, who raised him from the dead…” (Galatians 1:1). If we focus only on the teaching of Jesus, we are aligning ourselves with the Gnostics; the so-called ‘gospel’ of Thomas, which contains 114 sayings of Jesus, is no gospel at all, since a ‘gospel’ announces good news about what God has done. The irony of all this is that focussing on the ‘red letters’ is not what is need, nor does it deliver what is necessary. One of the ‘trending’ articles on the website explores the idea that ‘Being born again is not about Going to Heaven‘. The articles draws on the writings of Tom Wright—hardly a ‘red letter Christian’ but in fact a renowned Pauline scholar. 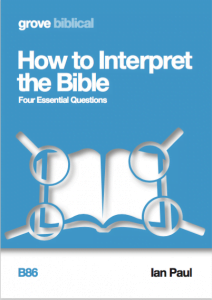 Another related articles loudly proclaims ‘The Bible Isn’t Perfect And It Says So Itself.’ It is arguing against the notion of biblical ‘inerrancy’, but is probably one of the worst examples of engaging with this issue I can think of. It suggests that, because 2 Tim 3.16 says that Scripture is ‘God-breathed’ then it is not God. And only God is perfect. So Scripture is not perfect. And the Bible is like that. We go to it for wise advice, but it is not perfect. This is the most appalling logic—and quite the opposite of what Paul intended in 2 Tim 3.16! The reason for the problem is that the writer of this is locked into the same assumptions as the people he is criticising—that the opposite of ‘inerrant’ is ‘errant’ and so the Bible must be one of these two. But in fact the real problem that needs to be tackled is the background of nineteenth-century rationalism which is framing this whole discussion. What is actually needed here is not to read less of the Bible, Jesus’ words alone, but to read more of it. If Campolo and others are concerned that abortion and homosexuality are taking up too much of evangelicals’ attention, then the answer to that is to locate these issues in the whole of the Scriptural witness, and give them due weight—no more, and no less. Campolo is wrong that the main issue for Christians in America is inequality, or poverty, or discrimination. The main problem there, as here, and in every place, is that all have sinned; that the kingdom of God is at hand but we need to repent. If some Christians twist this into a right-wing, moralistic, individualised message, then the solution is not to try and ‘transcend’ these issues, but to engage with them in a better reading of the whole Bible that we all share. Added to which, it presupposes a crazy notion of translation. We’ve only got a handful of ipsissima verba – talitha koum, etc. The rest are already in translation (albeit divinely inspired translation, often by those who knew Jesus well), which necessarily changes the shades of meaning. Given that we trust John’s translation of Jesus’ words, which can probably be fairly free at times, why shouldn’t we trust his teaching about the consequences of Jesus’ words? John that’s a really interesting point, thanks. Yes, the idea that we somehow have the unmediated teaching of Jesus, free from any interpretation of Jesus’ first hearers, does seem fanciful. Not familiar with some of your terms but can’t we express this in a simpler fashion: Red Letter Christians are Christians who ignore other Christians to ignore most of the Bible. Shouldn’t that give any Christian pause? You point is well taken, shades of meaning. I feel “Shades of meaning” bears further exploration to develop a more complete understanding of the benefits, and the consequences of your statement. How do “shades of meaning” occur? I will let you answer that question. Sadly, it’s increasingly difficult to buy an American published Bible which isn’t red-letter. 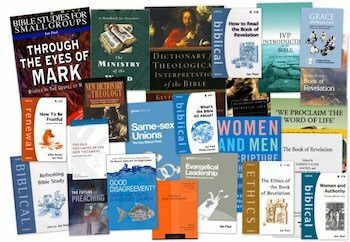 I have a Zondervan TNIV which is red-letter despite the translators’ introduction which says, ‘… the issuing of “red-letter” editions is a publisher’s choice – one that the Committee does not endorse.” So as usual the market wins! It’s a much wider issue than just the red-letter movement. Indeed, and there is another whole post or two to be written about the impact of the market on Christian publishing, and the printing of Bibles in particular. Let me be more blunt: Jesus-words-only is a dangerous cult-like perspective as it drives a wedge into the Trinity and commits (by omission or deliberately) the fallacy of the finite Jesus. Once Christ is stripped of his context, heritage and promise He becomes little more than an anachronistic flower child of the sixties. Interesting comment. I did rather think when I wrote this that I was going against the grain and would get some negative reactions…clearly I am not alone! Subjectively, the fallacy I mention seems to be the part of the Emergent experiment that has persisted despite the failure of the experiment as a whole. In the end, Christ can no more be understood without examining the ‘black letters’ than a house can be built by starting with the second floor. It always makes me chuckle when I read someone saying that the emergent experiment has failed. Yet here we are discussing its influence upon the church. Just because the markers that the church tends to use to measure success (size of congregation etc) are not seen it doesn’t mean that the conversation has failed. I would suggest that many people in many evangelical churches are having the conversation but do not feel comfortable expressing it because to do so is to face criticism. That does raise the interesting question about ‘success’ or ‘failure’. 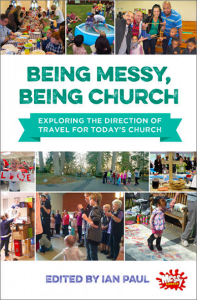 I don’t think i can say anything about the US situation, but it is striking in the UK that it appears church growth is mostly happening in inherited forms of church, with perhaps Messy Church an exception (though there is a big debate to be had on whether this is ‘church’ or pre-evangelism). Something that does not seem to be explored much is the way that alternative/progressive/post-evangelical church often functions as a long route to the exit door for many long-standing Christians. The emergent experiment /has/ failed. Rob Bell has shown his true colours and has set up camp as an evasive, Oprah-friendly denizen of a quasi-intentional ‘spiritual’ community. Brian Mclaren’s generous orthodoxy has proven to be little more than narrow, fashionable compromise and Franky Schaeffer continues to have daddy issues that would drive a therapist into therapy. The emergent experiment was little more than a failed re-branding of ‘liberal’ Christianity and like all expressions of chronic compromise it is terminal if not dead on the bough. We are discussing its influence inasmuch as its influence was to sicken and weaken after a disease has run through the Church body. There was no conversation. Simply recapitulation. J, we might be talking about different kinds of ‘failure’. In terms of influence, Alan is right that people are reading and following. I suspect the failure you are referring to is a perceived failure in offering a convincing and coherent hermeneutic. I think I am probably with you on that—though I do very much agree with the idea that we must give Jesus’ teaching prominence in ethical discussion. See the exchange above with Alan about the death penalty. Ian – I was attempting to reply to Alan. It looks like the threading/reply system had some mischief in the placement of the comment. I’ll address individuals directly to avoid shenanigans in future. The failure i referred to was the failure to establish the Emergent church as some ‘third way’ between the deeply entrenched left and right wings of Christendom. As time passed it proved to be defined by the tropes of progressivism and as such it placed itself on the left with an intention of countering the dogma of the Christian right. As for primacy of Jesus’ words, I would respectfully say ‘it depends’, for the reasons of parity among the Godhead that I’ve mentioned already. Certainly red-letter types have in my experience relied more on the OT than NT drawing on the social justice behaviour expected of Israel. What you mean to say it that following Jesus instead of worshiping a post Easter deity disempowers the church and redirects us to the teachings of a first century prophet . I think you might be labouring under the false dichotomy between the so-called Jesus of history and the Christ of faith. 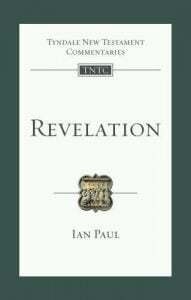 The earliest documents in the NT include the letters of Paul, and we find, in one of the most significant, early, undisputed letters of Paul the incorporation of Jesus’ identity into the monotheism of the Shema, in 1 Cor 8. The first followers of Jesus evidently thought that you could not encounter the historical Jesus unless you saw in him the unique presence and action of the God of Israel. It must, mustn’t it? Either the Bible contains errors or it doesn’t. You can certainly debate what form those errors take — whether the Bible’s errant on, say, cosmology, but not on doctrine — but there’s no third way on the fundamental question. I totally agree with your criticism of the Jesus seminar and red-letter Bibles for decontextualizing Jesus. The gospel sayings must be read in context, but that’s easier to do when the text can be viewed as a human creation, with all the flaws and biases that entails. Marcion didn’t want a flawed Bible; he wanted a perfect one that he could agree with. ‘Either the Bible contains errors or it doesn’t’. Only if it is the genre of a car maintenance manual. How about the genres of theology, history and moral instruction? I don’t think the categories of errant/inerrant apply. Hi Ian. Whilst you make some interesting points I am not sure that you understand what Red letter Christians is all about. It is not a club for those who want to ignore the rest of the bible and just read the words of Jesus; it is a response to the often seen use of bible verses without reference to Christ. Here I am not saying that you don’t offer a critique worth considering but that what you say does not really represent what they are trying to achieve; the blog is also a little less than generous in its approach (I am not speaking here of your own personal generosity – which I do not doubt). Shane has just shown what they are trying to achieve in his excellent response to Albert Molher’s defence of the death penalty. He shows that Mohler does not reference Jesus in his writing on this subject. Shane is not trying to suggest that the rest of scripture has nothing to say: he is showing that Jesus is of supreme in importance in being the revelation of God (of actually being the Word Himself). This is a misrepresentation. It is in fact a distinct mark of much of the RLC teaching to show what the words of Jesus meant in his historical context. In the academy I am aware that historical context is important so I feel sure that you Ian are committed to this. 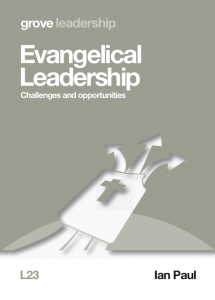 The problem is that a lot of teaching in the evangelical world treats the bible as if it either an encyclopaedia of knowledge or a personal promise box rather than a dynamic story of God walking with people. You may not like the idea but left to Mohler and others we will be using scripture to support laws without even a glance at the way Jesus dealt with people. And therein is the problem: the clear implication that Jesus’ words in the NT trump all. This necessarily fractures the Godhead and subordinates the Father and Spirit. That is why the viewpoint is utterly wrong. All evangelicals do this. We don’t follow OT law to the letter. We don’t see all OT prophecy except through the life, work, death, resurrection of Jesus. We even understand the godhead through the NT not primarily the old. Neither did the most devout saint in the Old Testament, because the law was not some monolithic entity. It was deeply granular such that parts of it only applied at certain times, and parts of it only applied to certain groupings. The best thing I have read on this recently is Philip Jenson’s Grove Booklet on How to Interpret OT Law. He points out that within the law itself it had different levels, and the key differential here was how specific to context the different parts are. Thanks for the comment Alan–very helpful. I think it might be worth distinguishing between the teaching of Campolo and Clayborne and what is happening on the website and the articles that are posted. I agree with you that SC’s response to Mohler was quite right; how can you do any ethics without considering Jesus’ teaching? That is crazy. And SC offers a fantastic response to it. But the way the movement presents itself is that it has found a way to rise above the details of debate about method and interpretation–and that is simply not possible. The best informed ‘conservatives’ know their Bibles and questions of interpretation very well, and if you want to change their mind you need to engage in the debate. I think SC and TC can do this…but I am not sure that the RLC idea is encouraging their followers to do so. Perhaps history is a good example. I don’t believe that this is simply ‘important in the academy’. 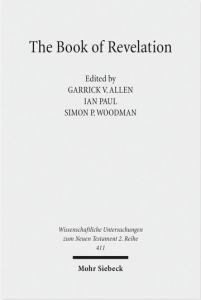 As I comment about the resurrection, http://www.psephizo.com/biblical-studies/evidence-for-the-resurrection/ the historical nature of Christian faith is something that all Christians need to be aware of and take seriously. Ian – I take your well put points. I would raise these two questions. 1) could you be presuming that goal is to debate/win over conservatives when it might not be. The goal for some of us is to wrestle with the issues. This some times involves debates with others (I see this as a positive thing) as we are doing here. I don’t expect to win you over. I would see our respective goal as being to offer a constructive corrective to the assumptions we might make about each other’s position. 2) could it be that our different approaches (and here I am not talking about you and I specifically) are what makes us see the others position as being incorrect. For example I find systematic theology inadequate in describing/explaining the bible. I would adopt a more narrative/dynamic approach. I wonder if what us revealed in your kind response to me here is a dismissal of my viewpoint because I don’t employ the same method as you. I am sure I have probably done the same in return. I do appreciate you taking the time to respond. Wrestling with the issues is good…though Campolo does explicitly say that the aim is to address those who identify Christianity with the religious right. However, I am curious that you class me as someone ‘to be won over.’ As I point out on the post, I have written on many of these issues, and was reading Yoder, Tom Sine and the like many decades ago! I would agree with you in your comment about systematic theology. Doctrine must reflect on but then lead back to Scripture, not the other way around. have you read my post on ‘Satisfaction’ and the long debate that followed? I didn’t mean to suggest that I should see you as someone to be won over. The opposite in fact. I was referencing what saw as your critique of RLC – that they are approaching things wrong if they are looking to convince the ‘right’. Offering is a challenge is perhaps not the same seeking to change. Thank you for your thoughts. I will keep reading. I would say that I still feel you have created a slight caricature of RLC that means your critique is slightly misplaced. I don’t say that to suggest you have nothing important to say but in the hope that you might have a further look at what being ‘red letter’ means for those involved. Is that ok.
Jesus is not known except as mediated by the Bible writers, and to insist arbitrarily on the particular logia that are preserved there is naïve, as well as not having much faith in Christ’s promise of the Holy Spirit to the Church after his ascension. 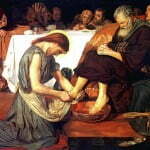 The other objection to the red letter approach is that it can privilege the words of Jesus over the actions of Jesus. Failure to consider the actions leads to a different perspective on Jesus (contrast the Jesus seminar, which majored on the words, to EP Sanders’ approach to the historical Jesus, which began with his actions). Yes, that’s an interesting example. Is Tony Campolo in the UK at the moment? It would be good to hear you in conversation with him, because as you suggest above he would be perfectly capable of debating the problems you describe. I wonder if something is being lost in translation here between US & UK contexts? Thanks for this, Ian, really helpful. Groups I’m involved with – especially Business Connect, Jersey – are keen RLC-ers particularly because of their concern for social issues which I know you agree with. Their approach has helped me understand more of the subversive nature of the Kingdom of God, especially in terms of worldly power as seen in heirarchy and institutions vs the power Christ demonstrates that flips that on it’s head – as seen throughout scripture whether it’s written in red or not! So… the group’s name is rather unhelpful as you point out – but I’ve found their approach interesting and helpful and it’s transformed how I think about Church and the Kingdom. Maybe they should rename themselves – I wonder if they intended us to take them so literally? Thanks Sarah. I am not sure it is just about renaming though. Interestingly, there is now a large and growing literature on the anti-imperial nature of the NT from an academic point of view…and this would be at least as effective a place to start, even with noting the anti-imperial elements in Pauline theology. I’ll weigh in here a bit and move off the theology which I think you addressed adequately and correctly into contemporary dynamics in the United States and the broad assumptions and charges RLers have broadcast onto others. In light of the Claiborne/Liberty University debacle here in the United States I started looking into this RLC movement. I was aware of it but hadn’t really looked into it. I scrolled the revival tweets (event at Liberty U) including the back and forth between RLC’s and those not with the movement. I then had some conversations on Facebook. While I don’t doubt for a minute these are fellow believers, and I admire their passion, their commitments to the causes they are involved with, something just didn’t feel right. I’ll even go as far to compliment them that many of them have done far more for the Kingdom than I have. I have respect for many of the big names involved, even if I don’t agree with them. The discussions I had were enlightening and frightening. While I admire their desire for “justice”, the problem is I think their sense of what justice means is distorted. All of what I found stains of socialism, social justice, identity politics, and on the faith side of the movement I see too much that resembles Black Liberation Theology and/or collective salvation. I’m not suggesting any of the movers and shakers in the movement are of these schools themselves, but the overarching message seems close to it and is certainly attracting those elements to their cause. I don’t disagree there are terrible parts to American history and contemporary politics. I don’t disagree there are issues with race and social economics in my country that need addressed. (I’d argue these issues are currently distorted and the solutions are deeper than government solutions, all a different discussion.) I don’t disagree there are disastrous consequences to wrapping the cross in the flag. What I disagree with is this attitude that X is the reason for it. That “X” I’ve seen in these discussions are “whites”, “conservatives”, “Trump supporters”, “white Evangelicals”, “Conservative Evangelicals” and the assertion that the bulk of these demographics have strayed from the gospel and given themselves over to idolatry of “Christian Nationalism” and have not individually aided the poor, homeless, and suffering. These were repeated themes and issues in the discussions I waded through. Ok…all of that is fine. We can disagree on those issues and debate the role of the Church in all of it. But don’t pretend this isn’t a political movement itself. Tony Compolo can claim all he wants this isn’t a right/left thing, but when all of your talking points, priorities, and “bees to the honey” seem to indicate otherwise there’s a problem with your claims. That’s only one part of the problem. The next comes in the form of doing all of this while pointing a finger at everyone else who disagrees with you as making religion political. Yet there they are, doing the same thing, and perhaps even worse. I ran into repeatedly in attempted conversations with RLers this treatment: Oh you disagree with me or brought this up so you’re obviously a Christian nationalist. Time and time again my reply was…no I disagree with you on this and this because it’s what I believe, not some adherence to a political ideology or elected official or governmental or secular institution. One of the retweets going around during the Liberty University situation was I believe from TC. He said verbatim, “America is the best Babylon there ever was, but it’s still Babylon.” I won’t argue there’s people that think of the USA as a new Israel. But I believe both these views are wrong and not many believe either one. How about we say we’re not Israel or Babylon? This doesn’t mean we can’t learn from the mistakes and greatness of either. But if we’re going to stop making religion political then stop making religious political statements. I felt sorry for Liberty University. Claiborne referred to it as “the belly of the beast”. That’s a pretty heavy and unfair charge I think. Has Jerry Falwell sacrificed the integrity of his role as a Christian leader by attaching himself to Trump? Probably, I argued that same point during the 2016 election. But does that mean all of Liberty University has done the same? Or that all Trump voters have done that? Or all Conservatives have done that? Does that mean that one Trump voter in a high position at an Evangelical university is indicative of entire body of believers and/or political block? Certainly not. For a group of people that seemingly strive to be nuanced in matters of faith they are verily generalized and presumptuous when it comes to a great many around them. Here’s the deal for me. I grew up a Congregationalist, attended an Evangelical Bible college and I’m now a Lutheran. Politically a Libertarian (lumped often with the Conservatives whether right or wrong), live in the rural Midwest. I work in state government directly for an elected official. I wasn’t a Trump voter. (I didn’t vote for Hillary either of course) I know thousands of Trump supporters, “right wingers”, Christians – and they are all very different from each other on politics and religion. I could walk down my work hallway and poll a political survey from everyone RLers consider the one in the same and I guarantee the results aren’t going to be as tightly confirmed as assumed. I’d do the same with religious issues and I guarantee there’d be considerable variance as well. You don’t know what others have done to serve the Lord and their fellow man or the reasons for their votes. I throw out all of this just say I look at things more than just face value. Context is important. Red letter, black letter, red state, blue state….there’s plenty in between and it all makes a fuller picture. Part of that picture is treating those around you without contempt when you disagree and assuming the worse in them and assigning faults from your biases onto them. That applies across the board to everyone, and from what I’ve seen this movement looks an awful lot like what they despise. My red letter approach to Jesus doesn’t dehistoricize him, because it understands him as a Jew trying to live the life of a Stoic sage and teach Stoicism to Jews. I think of it is these terms: Jesus is not about justification from a default damnation stamped on us by Adam’s sin (a concept Jesus never mentions) but about how to live life wisely, and therefore Pauline justification (you’re damned by default, now justify yourself) is not a valid category in Jesus’ thought world. The problem is not that that most Christians ignore the “old.” It is that most Christians (or so-called Christians) do not treat their fellow humans by the dictates of the “red letters.” After all, the “new” Testament was supposed to replace the “old” version, ” most specifically as detailed by the Sermon on the Mount. Context” doesn’t really matter; one must remember that the “old” Testament was included as part of the Bible because it was the only text available to accommodate the beliefs of Jewish converts. It is a measure of Christian hypocrisy that that the “old” version of theology with all its acceptance of violence is held up as a moral and ethical “standard.” It was, after all, used as “justification” for all manner of social ills, from genocide to slavery to racial discrimination. The “new” Testament was new for a reason. I laughed out loud! When I read the post about the problem with red letter christians. One concern was that they are only focusing on democratic issues and ignoring traditional evangelical values like “personal morality? !” From the top of the heap, Jerry Falwell jr. , Frankin Graham and other high profile leaders to the people who fill the pews, they have lost any right to judge anyone about personal morality. DONALD TRUMP has become their new Lord and Savior, and they have declared that personal morality no longer matters in choosing the leader of our nation. Call me a red letter Christian any day before you call me an Evangelical. That title is considered an insult by the majority of Americans. NOT because they have moral standards but because they have traded them for pilitical wins. Just to add a little humanity to this issue, imagine having been thrown out or being shunned and judged immoral by the same people who voted for a president with no morality and no remorse for it. Not only is it so ridiculous as to be funny, but it hurts. A lot. Evangelicals will face a reckoning. And possibly their ultimate demise. And it will be because of their hypocrisy. Silence equals complicity.